As I wrote in a blog post discussing this article, the following article comes to us from the January 11, 1907 edition of the Hawaiian Gazette and alleges to be a map of the world made in Japan more than 1,000 years ago. But as critical readers will notice, the story has more than a few hints of the Zeno Map story. As with that infamous map, this one is also a redrawn modern copy of an allegedly ancient map unseen by anyone. 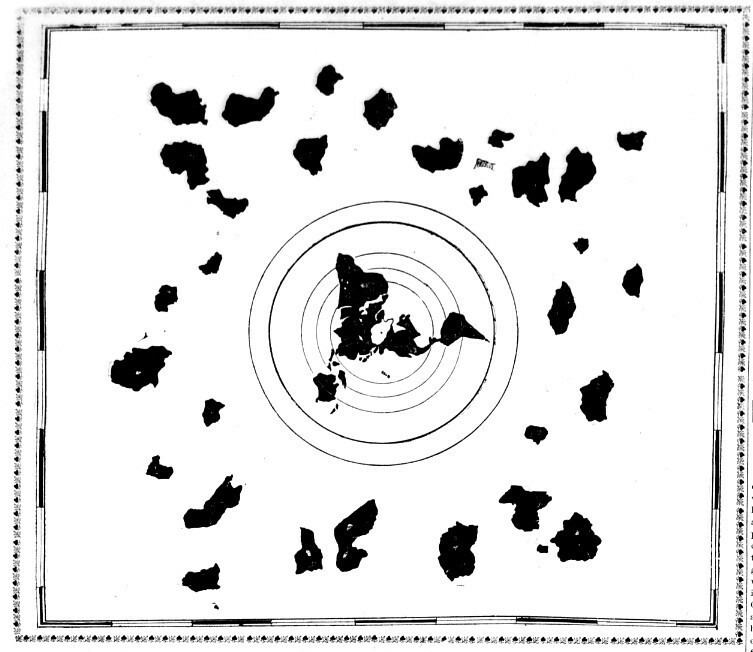 Like the Zeno Map, the original was also allegedly rotten with age, explained by a mysterious ancient letter unseen by anyone else, and it also serves to glorify the geographic areas connected to its “discoverer.” In this case a Japanese resident of Hawaii found a map in Japan that was ignorant of Madagascar, Greenland, and Polynesia but somehow managed to include Hawaii front and center! There’s a pretty good indication that the journalist who wrote the piece knew it was a hoax: He compares it to James De Mille’s 1888 novel Manuscript found in a Copper Cylinder, a satirical tale of an underground world. Was This World Map Made Ten Centuries Ago? Stranger almost than the “Manuscript found in a Copper Cylinder” is the copy of a map which came across seas to Honolulu from a Buddhist Temple in the mountains of central Japan. It is a map of the world made 1000 years ago. Dr. Kobayashi, the well-known Japanese physician and surgeon of Honolulu, has received a copy of the map, which he believes to have been made by Chinese priests ten centuries ago. “The map was found by my brother in a Japanese temple in the mountains of Japan,” said Dr. Kobayashi. “It has been hidden from the Japanese government in1 modern times just as it was in ancient tunes, for in olden days such a map would have been destroyed by the authorities. According to a letter the original map was brought from China by a Buddhist priest and concealed in this temple. “Ten years ago my brother was a consumptive. Although I was a physician he did not wish to be treated with medicines. He decided to go into the mountains and attempt a cure by himself. For ten years he has remained there and used his will power to effect a cure. Today he is a well man. During his stay there he found this map. He evolved from it a theory of the flatness of the earth, despite all modern facts showing it to be a sphere. This theory has been his one aim in life. He is an artist and in order to demonstrate his theory he made beautiful drawings, picturesque and attractive to the eye, in which mechanical, astronomical and engineering methods are shown. The illustrations accompanying the map are beautiful examples of Japanese art. No more attractive book of geography has ever been compiled. It is a mass of cherry blossoms, Fujiyamas, beautiful blue seas dotted with the sails of junks and sampans. There are landscapes and seascapes and bizarre pictures of Japanese women, designed along old-time styles. But in every sheet of such pictures the engineering lines are brought out in a way that does not mar the picture. With the text matter explaining each page, the geography should be easily understood. The original map of which a copy drawn by Dr. Kobayashi’s brother, and of which the accompanying cut is a tracing, is worm-eaten and barely holds together. The above map with all the continents and even the Hawaiian Islands shown, was evidently not made by the priests who traced the original lines. Source: Hawaiian Gazette, January 11, 1907, p. 2.